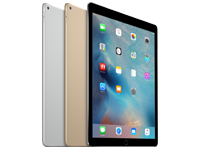 "I have purchased two of these for my parents and they are awesome! It's easy to pair up with the phone and it stays connected. You get so many functions for the price. Very recommended." "I needed to hit my fat-burning zone with some accuracy but my girlie pocket money wasn't going to stretch a fancy watch so had a look around and spotted this little beauty...and it was on special!..." "Had for a couple of weeks now. Brought as I saw a few online reviews saying this is the best fitness tracker for your buck, and they ain't wrong! Heart rate is pretty accurate. A lady on YouTube..."
With 50m waterproof grade design, you can wear it when you are swimming and showering. Not afraid of any tough environment. 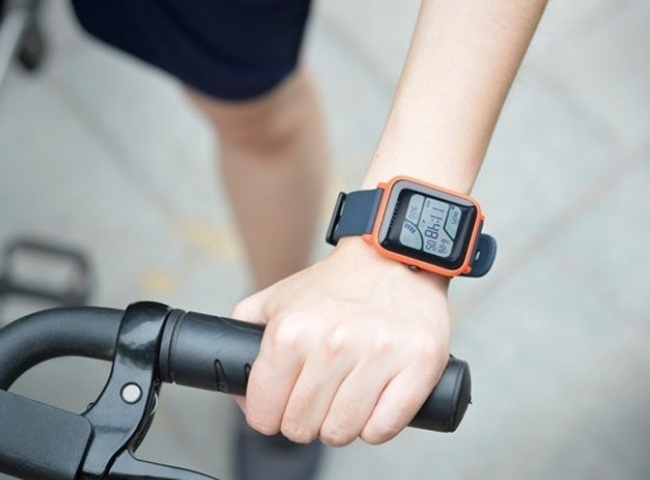 Bigger screen, fit the width of hte wrist, bring pleasant feeling of wearing. Big screen display a comprehensive and rich information, efficiency is obvious. 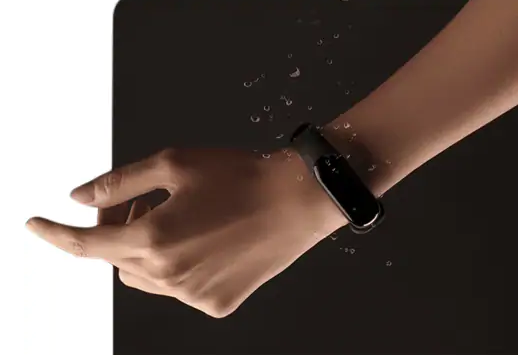 One of the things that set the Mi Band 3 apart from many other feature-laden smartwatches avilable is its 5 ATM water resistant rating - withstands pressures equivalent to a depth of 50 meters, making it keep work when being exposed in rain, splashing, accidental submersion, showering, swimming. 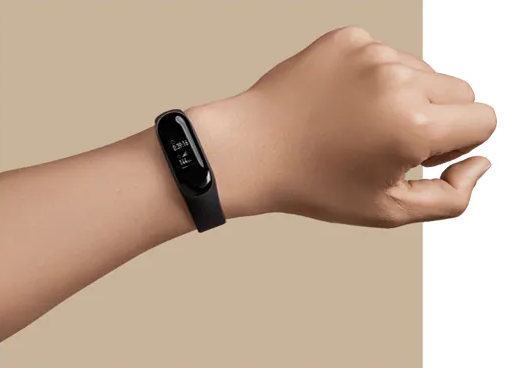 Mi Band 3 ensures about 20 days ultra-long standby time for a full charging. Is the display in English? I have purchased two of these for my parents and they are awesome! It's easy to pair up with the phone and it stays connected. You get so many functions for the price. Very recommended.I have purchased two of these for my parents and they are awesome! It's easy to pair up with the phone and it stays connected. You get so many functions for the price. Very recommended. I had this arrive today after seeing good reviews on this website but it won't even turn on let alone pair with my device. Had had it charging via my laptop for two hours and no change. I have read lots of hints as many people seem to have this issue but no luck. It is completely dead and defective. Waiting to hear back from PB tech for some advice.I had this arrive today after seeing good reviews on this website but it won't even turn on let alone pair with my device. Had had it charging via my laptop for two hours and no change. I have read lots of hints as many people seem to have this issue but no luck. It is completely dead and defective. Waiting to hear back from PB tech for some advice. View MoreI needed to hit my fat-burning zone with some accuracy but my girlie pocket money wasn't going to stretch a fancy watch so had a look around and spotted this little beauty...and it was on special! Wohoo! 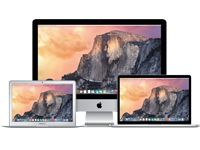 Initial setup was easy (I'm a tech head), your average user shouldn't have too many problems. From there I got a little frustrated and ended up installing another app from the play store (made by someone else) that had some decent instructions. The little scrap of paper that came with it was no help. I can usually figure out most things within 5 minutes (which probably accounts for my impatience) but this beastie really tried my patience. Even googling didn't exactly have the desired result. But once I got my head around how it worked, I figured it out. Long story short, got it sorted. Love that I can get texts on it, and that it vibrates on an incoming call. And its really comfortable. After not wearing a watch for years, I thought it might annoy me to have something on my wrist, but half the time I forget its even there. I can display Heart Rate easily and its a snap to put on and take off. Showed my girlfriend and she bought 2. And.....wouldn't you know it....it tells me the time! LOL I was also sick of looking at my phone for the time - I love that I can look at my watch. Very pleased with my purchase, and that it wasn't a super-expensive one, or a cheap chinese knockoff. 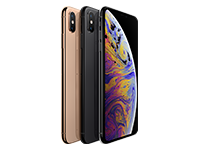 Good value for money, does what it says it does, the app has lots in for all types of uses and is certainly worth what I paid. Had for a couple of weeks now. Brought as I saw a few online reviews saying this is the best fitness tracker for your buck, and they ain't wrong! Heart rate is pretty accurate. A lady on YouTube compares to an actual heart rate machine and this is less than a couple beats difference. Battery life is excellent and overall very comfortable to wear. App intergration is also very good. Puts Fitbits to shame in terms of of price. Highly recommend.Had for a couple of weeks now. Brought as I saw a few online reviews saying this is the best fitness tracker for your buck, and they ain't wrong! Heart rate is pretty accurate. A lady on YouTube compares to an actual heart rate machine and this is less than a couple beats difference. 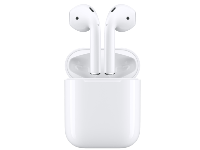 Battery life is excellent and overall very comfortable to wear. App intergration is also very good. Puts Fitbits to shame in terms of of price. Highly recommend. Ive been wanting this for months but was always out of stock in the stores. So glad that pbtech had it. Great product! Very satisfied!Ive been wanting this for months but was always out of stock in the stores. So glad that pbtech had it. Great product! Very satisfied! Brilliant tracker for the money. The build quality is quite good, although the band is a little small and can be annoying to put on sometimes. The screen is a little small and is quite hard to read outdoors in sunlight but is a nice screen nonetheless, and the heart rate tracker is also pretty good (sometimes it doesn't work if the watch is worn just a bit too loosely). 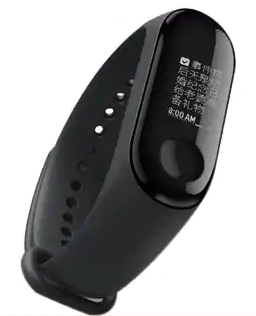 The app is also quite functional and the watch can notify you of texts and calls (but only while connected with Bluetooth of course). 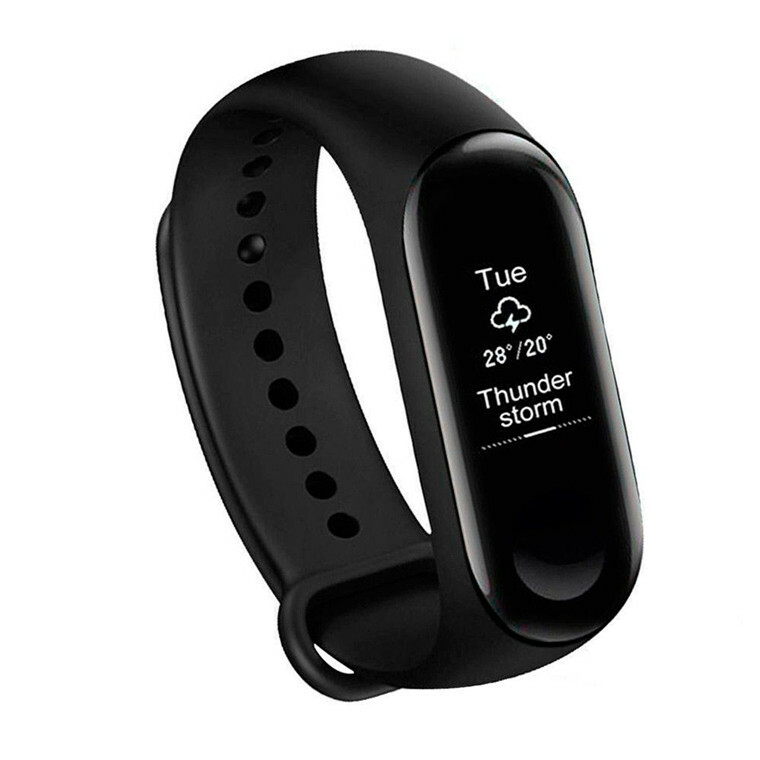 For I'd recommend this tracker if you're new to the fitness tracker scene and wouldn't want to spend too much money, in that case I can't recommend this enough.The build quality is quite good, although the band is a little small and can be annoying to put on sometimes. The screen is a little small and is quite hard to read outdoors in sunlight but is a nice screen nonetheless, and the heart rate tracker is also pretty good (sometimes it doesn't work if the watch is worn just a bit too loosely). 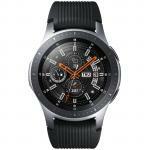 The app is also quite functional and the watch can notify you of texts and calls (but only while connected with Bluetooth of course). 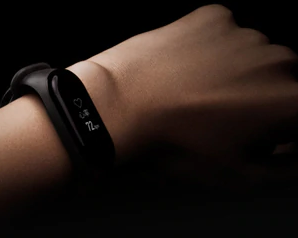 For I'd recommend this tracker if you're new to the fitness tracker scene and wouldn't want to spend too much money, in that case I can't recommend this enough. Son and I were window shopping and this little gem caught our attention. Features compare well against the fit bit band, and price point was perfect. kids at his school now compete against each other with step counts each day. A cool use of technology that also talks well with IOs devices. 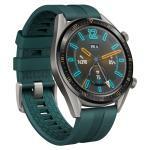 Great battery life of 20 daysSon and I were window shopping and this little gem caught our attention. 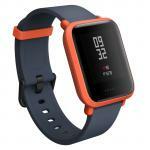 Features compare well against the fit bit band, and price point was perfect. kids at his school now compete against each other with step counts each day. A cool use of technology that also talks well with IOs devices. It's a value for money. I haven't use it a lot yet. So cant give any genuine information about it's performance. But looks really flash and classy. Specially on women's wrist.It's a value for money. I haven't use it a lot yet. So cant give any genuine information about it's performance. But looks really flash and classy. Specially on women's wrist. This is my first smart watch. I bought one for my wife and myself to use on our holidays. We kept them on the whole time even in the water park. It comes with a great phone app which keeps track of your progress. Great for workouts as it maps your course you ran, times, cadence, heart rate and gives you updates during the run. Easy to use. A bit hard to read the display in direct sunlight hence only 4 stars otherwise its a 5 star gadget! !This is my first smart watch. I bought one for my wife and myself to use on our holidays. We kept them on the whole time even in the water park. It comes with a great phone app which keeps track of your progress. Great for workouts as it maps your course you ran, times, cadence, heart rate and gives you updates during the run. Easy to use. A bit hard to read the display in direct sunlight hence only 4 stars otherwise its a 5 star gadget!! I scored one of these little beauties for Xmas. 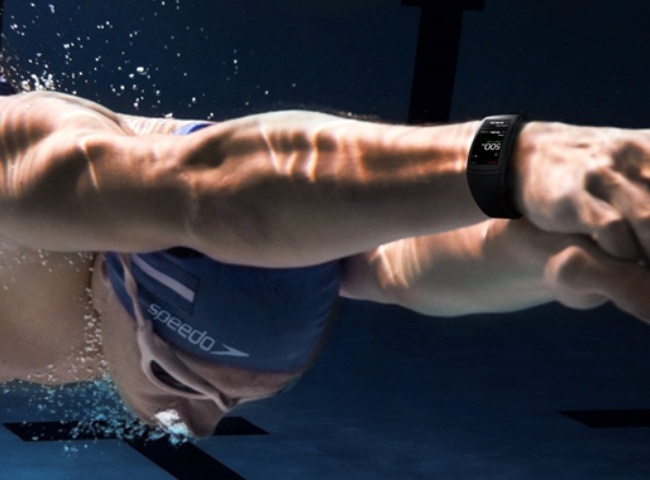 Its awesome waterproof, and does everything it says. The sleep monitor is very useful as is receiving messages function, while away from phone. I fully recommend!I scored one of these little beauties for Xmas. 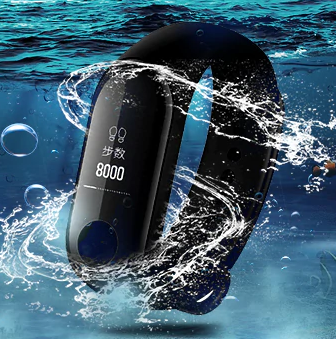 Its awesome waterproof, and does everything it says. The sleep monitor is very useful as is receiving messages function, while away from phone. I fully recommend! 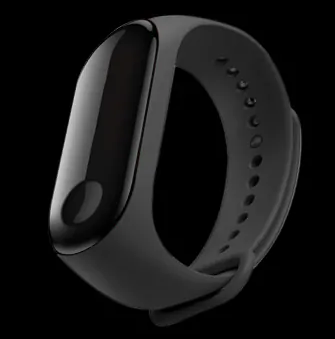 What a great improvement from Mi Band 2 to Mi Band 3. 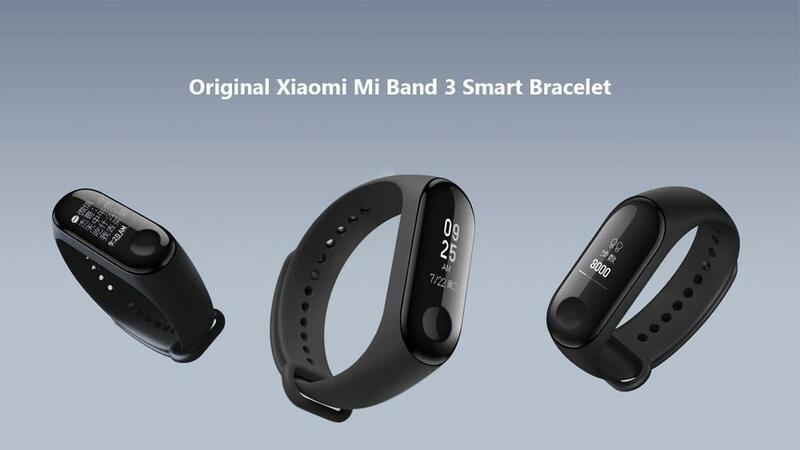 Screen is brighter and has more functions.What a great improvement from Mi Band 2 to Mi Band 3. Screen is brighter and has more functions. Good quality. It comes with the black rubber strap and charger.Good quality. It comes with the black rubber strap and charger. 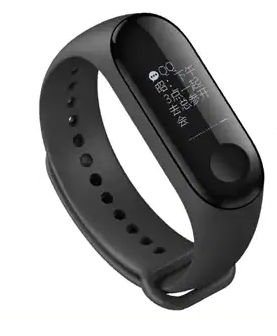 MPPMIX18919 Xiaomi Mi Band 3 Strap - Blue 9 $6.82 +GST$7.84 inc.
MPPMIX18917 Xiaomi Mi Band 3 Strap - Black 10+ $6.82 +GST$7.84 inc.
MPPMIX18918 Xiaomi Mi Band 3 Strap - Orange 0 $6.82 +GST$7.84 inc. Normally: $51.30 Normally: $59.00 $46.95 ex. $53.99 inc.